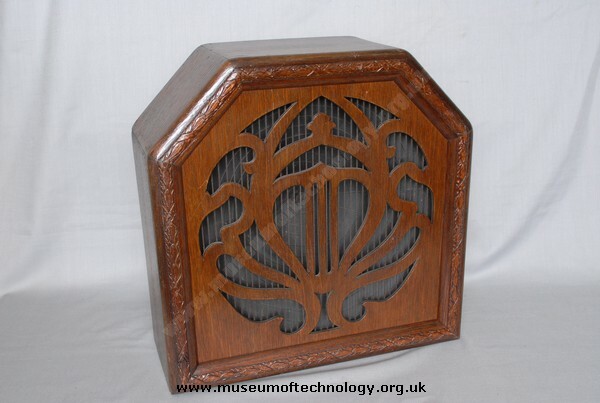 Before permanent magnets were made strong enough and cheap enough, loudspeakers used a coil moving an iron reed which was attached to the diaphragm of the speaker. Internally a high resistance coil with a permanent magnet through it, was used to move an iron reed, this was attached to a rod on which was placed the paper cone. An Adjustment was provided for maximum efficiency. This method did not require a strong magnet to operate, and the quality was inferior to modern loudspeakers which use the moving coil principal.